Mark Watts rode southern admiral to victory in the 2011 Charleston Cup. Whether you’re a posh aficionado or scruffy smatterer, there is certainly a place for you amid the masses at The Charleston Cup. Last year marked the first time in nearly a decade that hooves graced the grass at Stono Ferry for the celebrated steeplechase races. The increasingly popular event – a Lowcountry tradition since 1986 – returned to celebrate its 25th anniversary in 2011 after an eight-year hiatus. Thankfully, according to Karl McMillan, who has been a part of every Charleston Cup since its inauguration, the clamoring hooves weren’t the only things gracing the grounds of Stono Ferry; last year’s attendance, more than 10,000, reached near record-breaking levels. For McMillan and other organizers of the event, the turnout was reassuring, especially since they acquired the contract for last year’s race just three short months before showtime. “We definitely didn’t have a lot of prep time,” McMillan said, adding that he is both impressed and awe-struck at the growing buzz surrounding the Cup. “Eight years ago, we thought the Charleston Cup was fairly well-known, but there’s been so much growth in the tri-county area in the past eight years that we were really amazed at the number of people who had never heard of the event,” he confessed. Now, with the help of tools such as Facebook and Twitter, McMillan feels like he and his team have been able to get the word out to an even wider audience, and they hope to see even more people come out to the Cup in 2012. Last year’s race was special for Joe Bartone of Mount Pleasant. A thoroughbred breeder, he was the owner of the pregnant filly which, just a day after he sold it to Jeff Madden – also a Mount Pleasant resident – gave birth to Southern Admiral, the horse that would go on to take the 2011 Charleston Cup crown. “The same night that Jeff took the horse home, the baby was born, and he slept with that baby all night long,” Bartone said with a sense of emotion in his voice. Southern Admiral, only 2 years old, had begun race training, but, according to Bartone, had competed in only one jump race before running in the 2011 Charleston Cup steeplechase. Regardless of his experience, or lack thereof, Southern Admiral put on a show. Always set for the second weekend in November, this year will mark the 19th running of the Charleston Cup. 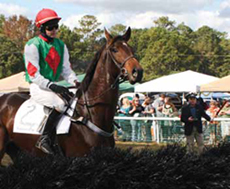 McMillan said the race at Stono Ferry occupies a unique spot in the National Steeplechase Association’s circuit, taking place two weeks after the Aiken Steeplechase and just one week before the Colonial Cup, the grand finale of the steeplechase season. As with all great sporting events, there is more to the Charleston Cup than the race itself. The weekend’s events include the traditional Charleston Cup Ball on Friday night, a golf tournament Saturday and then the races, four steeplechase and one flat, on Sunday. Even on race day, tailgating fashionistas flock to the parking lots for classy debauchery. “It falls on a holiday weekend, so that should make for a good complete package for people,” McMillan said. Hi Erika, the date is November 11 which is a Sunday. The gates open at 9 a.m. and the race starts at noon. 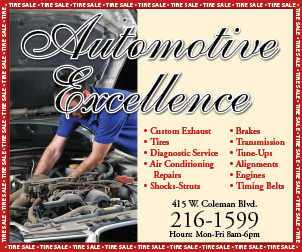 Thank you for reading Mount Pleasant Magazine, and be sure to LIKE us on Facebook!